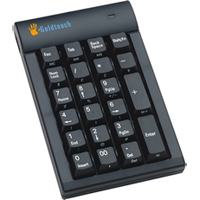 The kidney-shaped Goldtouch Gel Filled Mouse Pad from Key Ovation provides excellent tracking for the mouse, and a pressure-reducing surface beneath the wrist and hand. 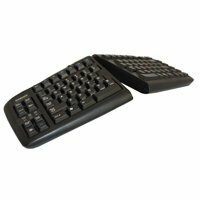 The mouse pad is 1" thick and features two surfaces in one: a firm gel base for the mouse, and a "comfort zone" filled with a softer gel to further reduce pressure on the heel of the hand. 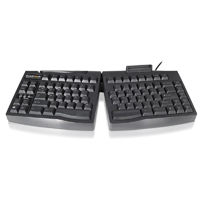 Flush with the body of the mouse pad, this area provides support beneath the wrist and hand without compressing sensitive tissues, and without affecting mouse tracking or mousing accuracy. 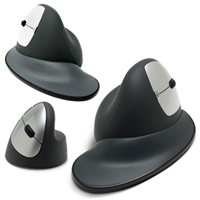 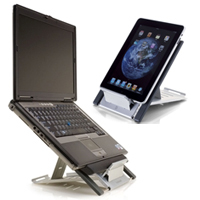 The sloping design of the Goldtouch Gel Filled Mouse Pad tilts the hand slightly to help lower the risk of injuries related to prolonged pronation, and the gently rounded edges eliminate pinch points. 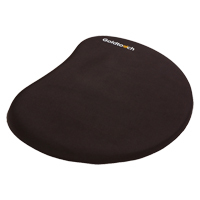 The mouse pad has a Lycra cover for friction-free movement across its surface, while the non-skid backing ensures that the mouse pad remains securely in place on the desk top. 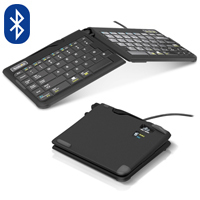 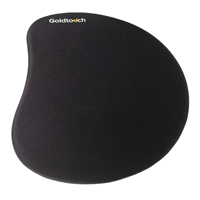 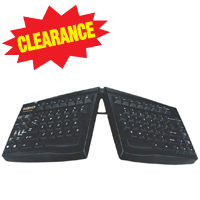 The Goldtouch Gel Filled Mouse Pad is available for right-handed use only. 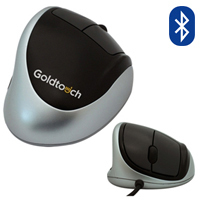 Users wanting similar features without the sloping design may wish to consider the Goldtouch SlimLine Mouse Pad which is available in both Right and Left-handed models.